It’s done. We are in. Yes, we have finally moved our design and buying office. For the past 12 years we have spent most of our working days (often stretching late into the night) in a lovely space on Bennerley Road in Battersea. This is where JoJo grew up and we are sad to leave. Twelve years ago we were little more than a mature start-up. We had no stores and only a simple website. 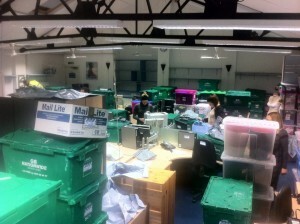 Whilst our warehouse was always in Wales, our office had always been in London. Initially in my bedroom from the house I shared with my friends, Kate, Serena and Giancarlo, then in a tiny space in Lots Road Business Centre in Chelsea and finally in Bennerley Road. 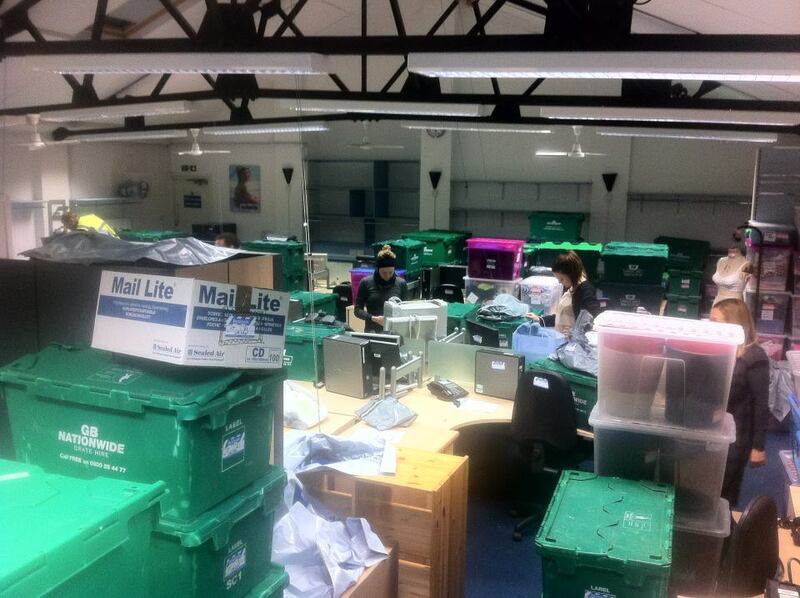 We had outgrown the largest office in the business centre and the rent was disproportionately high. Shared office space is ideal for a start-up because you can upsize (or downsize) your space without changing your details, you often have the use of a central reception and the company of other entrepreneurs to bounce ideas off. But there comes a time when you need to be brave and venture out alone and the rent was affordable so I signed up to the 12 year lease. We had acres of space when we arrived but week by week, year by year we filled it up. About 10 years ago we bought our current head office in Wales and many of our original distribution team are still there. Our customer service, accounts and operations departments were set up there. The London office became the creative hub of the business and as new departments were established the building filled up and up and up …. until last friday when, bursting at the seams we finally moved to our stunning new premises; a previous girls’ convent school, also in Battersea close to the Dogs’ Home. For 12 years we have haunted the lovely boutique stores, restaurants and coffee shops of Northcote Road and I can’t praise the area enough. With Wandsworth and Clapham Commons both a stone’s throw either side of us, it’s a fantastic area to live or work in and great for a day out. When my children were little they spent most of their weekends in the playgrounds or having picnics and nowadays i’m found on the sidelines watching them play sport. I love the independents; there are fabulous butchers, delis and flower stalls not to mention plenty of fashion and of course our JoJo maternity and baby stores. I really don’t need to go anywhere else, although some of the coffee shop prices are eye wateringly expensive. We have a lot of people to thank locally. Ted for one. Ted and his lovely family ran the fruit and veg stall opposite our first JoJo store for years. His stall remained in the same spot for 100 years and sadly closed last Christmas. When I arrived on the street as a small mail order business Ted and I used to chat about trade, as he did to everyone. I had been trying to sign our first store lease and kept getting gazumped by bigger retailers or coffee shop chains who could afford the high premiums commanded in those days. Desperate that I would never open I had a cry on Ted’s shoulder and he promised to help. Part Welsh Valley’s (as I am) and part Romany, Ted assured me that if I started the negotiations on a recently vacant unit he would pop a lucky charm in the empty shop. He was as good as his word and we signed the lease on 72 Northcote Road. Little did I, or Ted, know that this would be the first in our portfolio of boutiques which has just hit 44 stores!